Doc On The Run..not just a running injury expert..but a runner as well. Rather than attempting to sort out their running injury on their own, some patients really do want the personalized interaction that goes along with an in person visit delivered during a house call. What we offer is extraordinary convenience, expert advice and extended visits for runners. But to be perfectly clear, most patients do not need to see “Doc On The Run”. Today most patients can find all the information they need to address their own injuries without even seen a doctor. For those runners who enjoy the problem-solving aspects of self-diagnosis and self-treatment there are many resources available to help facilitate that process. In most cases those patients can get better without seeing a running expert in person. Many common running injuries are straightforward. Any doctor can treat them. Most runners do not necessarily need to see a running-specific-physician to address the complaint and heal a running injury appropriately. The truth is, if you see an in-network-physician who is on your insurance plan it will be less expensive for you. Because of this simple financial fact, most patients can and should seek advice from their own doctor who might accept their insurance before seeking more specialized (and frankly more expensive) advice. What are the reasons a runner might need to see “Doc On The Run” in person? 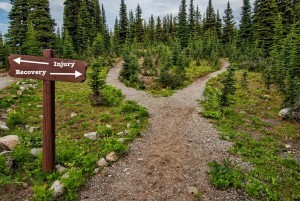 You are a runner and you think you’re on the right track but you are uncertain. Most of the runners who call me to schedule an appointment have already been seen by another doctor. In most cases, they have been given the correct diagnosis but they still feel something is lacking. Sometimes I can’t understand why the doctors told them they cannot run. Sometimes the runner simply cannot understand how it is that the doctor thinks it will take a full year to recover. But in most cases, the runner just wants to clearly understand the problem and figure out every possible alternative they can help heal the injury as quickly as possible so he/she can get back to running. You need a doctor who understands running injuries. As a runner, I personally don’t seek running advice from people who are slower than me. I also wouldn’t take financial advice from an accountant who is broke. And this may sound crass, but if a dietitian weighs 450 pounds, would you take his advice? Most of the runners I see specifically want advice from a doctor who is also a runner. Not just someone who says they know a lot about running injuries, but someone who actually applies that in their own life. You want a real running expert. As a runner, you probably want (and should expect) a doctor who can completely understand the problem. Not just the anatomy or the physiology associated with a certain injury, but all of the specific details of running that can affect an injured runner’s recovery. You should expect that your doctor will take into account the fact that you are young healthy adult who can heal faster than the sedentary individual. You need a doctor who will help you figure out how to stay fit… even while you heal. “Doc On the Run” is a running injury expert by any definition. He is invited to lecture at medical conferences on running injuries several times per year. He has authored a chapter in a Sports Medicine textbook. He literally wrote the book on Runner’s Heel Pain. He has presented his award winning research at medical conferences in the Unites States, Canada, New Zealand and Portugal. He has completed several marathons and is a 15-time Ironman Triathlon finisher with a personal best of 10:59:07. For his Ironman race performances in 2014, he received the 2015 Ironman All World Athlete distinction. He competed in the Ironman World Championships in Kona, Hawaii in October 2015. 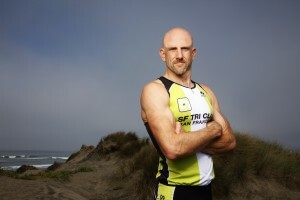 His patients include multiple world champion triathletes, prior Olympic trials marathon runners, members of the U.S. Ski team and San Francisco Giants and professional Ironman triathletes. His sports medicine podiatry practice focuses on keeping runners out on the road. You want a doctor who will be sympathetic to your athletic goals…who will NOT encourage you to simply stop running. Have you ever seen a doctor and felt like you explained your problem in great detail, but you and the doctor are just not aligned? If you feel like your doctor is more interested in you stopping running, you may need to see a different doctor. You should feel like you are being heard. You should feel like the doctor is interesting you helping you achieve your goals… whether that means running a 5K or running a 50 K.
You may feel like your doctor’s goal is simply to make your foot pain go away, even if you have to stop running. Yet your goal is likely to run without pain. It is the doctor’s job to help you achieve your goal! You want detailed descriptions and clear-cut answers. Do you like to read Runner’s World magazine and learn new training techniques? Do you like to read shoe reviews before switching to a new pair of running shoes? Do you like to understand how coaches put training plans together? If so, you’re not alone. A review of demographic information from registrants at both short distance and long-distance running events shows that runners have a higher education level than the average population. Runners are not only smart, but inquisitive and self-directed. Runners enjoy the process of assimilating information in a way that gives them a clear path. This is not only true of runners and training, but also runners who have been injured and want to get back to running. They don’t just want to be told to go right or left. Runners want to clear map and a clear path to get back to running. You don’t want your time wasted. Do you think it is ridiculous that you go to see a doctor, with an appointment and yet wait for hours? And then, to add insult to injury, after waiting the requisite unreasonable length of time, you actually only get to spend about 5 to 10 minutes with the doctor? Is it just me, or does it seem silly that the doctor gives you one thing to try, like “decrease your running,” “take some time off,” or “ice your ankle”… and then come back again in a couple weeks for the next piece of advice? Doc On The Run is structured in a way that completely eliminates all the time wasting. No waiting room… we do house calls. We see you in the comfort of your own home. Convenient scheduling… we will see you at a time that works around your schedule. Extended visits… in most cases we spend between an hour and an hour and a half explaining running injuries. No multiple visits… because we spend so much time explaining the full extent of the problem, what to expect going forward, and what to do in different scenarios, most patients are only seen a single time. Get the right information the first time… if done correctly, you should fully understand your injury, its cause, its treatment, and how to prevent it going forward. For most running injuries, you shouldn’t have to go back for multiple visits. Will “Doc On The Run” see me in person? Yes, but he has very limited availability. Dr. Segler has a large proportion of time occupied with creating self-help resources for runners. He travels to medical conferences a number of times per year to lecture to other physicians about the treatment of running injuries and running biomechanics. Because we are focused on the treatment of runners with complicated running injuries, Dr. Segler schedules a maximum of 10 house calls per week. Keep in mind that Dr. Segler is primarily interested in seeing active people, who want to remain active. Although we get a number of requests from patients who are not active but want someone with his expertise, we do not always accept those patients into our practice. Occasionally, we have to turn down patient requests. We do have the right to refuse service to anyone who is not the best fit for our practice. As of this writing, we only two negative reviews on Yelp! Both reviews are from patients that we never saw and never treated. What if I don’t live in San Francisco or Silicon Valley? We offer house calls all over the bay area. For those house calls outside of our normal area, we may charge a mileage fee, but it is only one dollar per mile. What if I see another doctor first? Can I still see Doc On The Run in person if I don’t get better? Of course. There’s a high likelihood that you will improve if you see another physician. Again, most running injuries are not that complicated. If you see another physician and you do not improve, or you feel like you need to clarify what you have been told we can certainly still see you. However, second opinion consultations are generally longer than a standard new patient consultation and the fee is higher. The higher fee is to account for the additional time spent explaining all of the detail that you have received from another physician and how it relates to (or differs from) the approach that Dr. Segler would recommend. How do I schedule a house call?